At every phase or timeline of film industry, there is always someone who change the course of movies with his movies like RGV. To the list of that influential filmmakers, Puri Jagan adds undoubtedly with the type of characters he created and the style of writing he had which influenced a lot of young aspirants and makers. He lost his touch in making those iconic characters or films which is clearly evident with his previous movies. He is now coming with Mehbooba with his son Akash as protagonist. Everyone of their team are so confident of the success and Puri Jagannadh has also produced this movie apart from writing and directing. Let’s see how it works as it is released into theatres today. Roshan (Akash Puri) is a guy who just completed his engineering and trying to join Indian army. He always get haunted by some dreams of his death in his past life. One night, he rescues Afreen (Neha Shetty) from a gang who try to kidnap her. They both meet in a train to Delhi after that and they both see each other for that first time. They both part their ways after that train journey to reach their destinations. While Roshan and his friends are on himalayas, accidentally he falls into a pit as ice breaks and finds dead body of a girl who looks same as Afreen and also finds a diary in a leather bag beside her. He opens the diary and finds his photo in army outfit. What is in the diary? What is his journey? How his love story started and ended? Akash Puri as Roshan has done a nice job as an actor. One can simply say that he has involved with his character so well after watching the movie. He has some vulnerable look on him that makes him relatable like a next door guy. 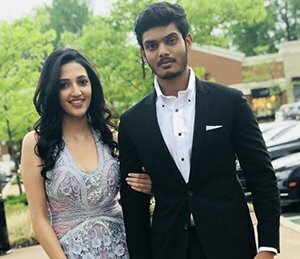 Debutante Neha Shetty has acted well. Sayaji Shinde as father of Roshan is nice. Vishu Reddy is fine. All other actors has done well in their characters. Story of Mehbooba is simple and good. Screenplay is fine and dialogues are good. Songs composed by Sandeep Chowta are good. Lyrics are also written well to sync well with the sound and situations. Background score is also composed well. Cinematography by Vishnu Sharma is nice. He has shot some beautiful visuals. Editing by Junaid Siddiqui is fine. Action sequences and stunts are composed well. Art department has done a nice job. Production values are rich. Mehbooba is a love story of two people that happen in two timelines and how different people in these two timelines affect their love story and disturb togetherness of them. First half of the movie is completed in setting the premise and this half and it’s in the second half where we really go into the story. 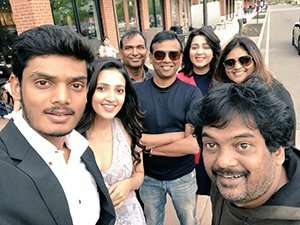 Puri Jagannadh who happens to be the writer and director of this movie has chosen an interesting premise and he faltered with the screenplay towards the ending. With a better screenplay, this movie would truly have become a comeback for him after a series of debacles. His son Akash Puri, has done much superior work as hero. 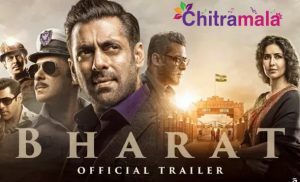 The locales where the movie is shot are true to its story and war sequences are shot well which mainly has superb camera work which generates tension among audience. The way Puri Jagannadh made war and love co-relate each other is one of the interesting aspect of this movie. To sum up, Mehbooba is a one time watchable love story which has its highs and lows.